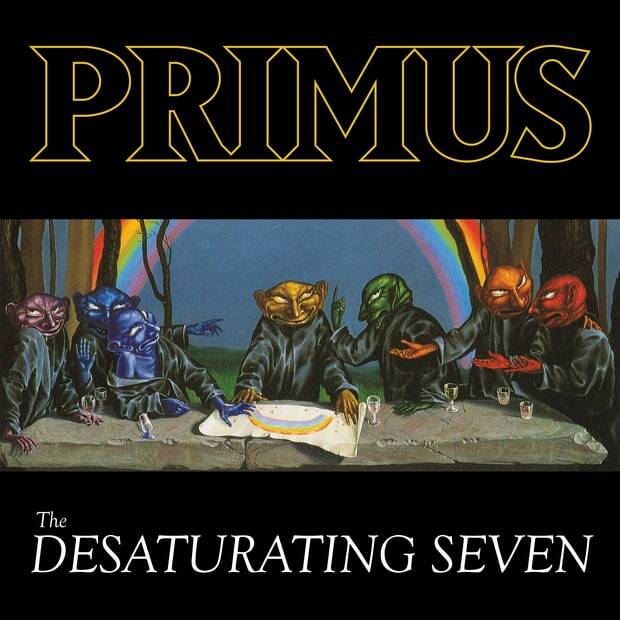 Power trio extraordinaire Primus has announced ‘The Desaturating Seven’, their first studio album of original material since the 2011 release ‘Green Naugahyde’, and the first of this kind featuring the classic lineup of Les, Ler and Herb, since 1995’s ‘Tales From The Punchbowl’. The new album is an adaptation of a 1978 Italian children’s book called ‘The Rainbow Goblins’, and is slated for release on September 29th. In addition, Primus has also added the ‘Ambushing The Storm’ Fall U.S. headline tour to support the album. Check out the album cover artwork, track listing and tour dates below, and listen to a new track called ‘The Seven’.